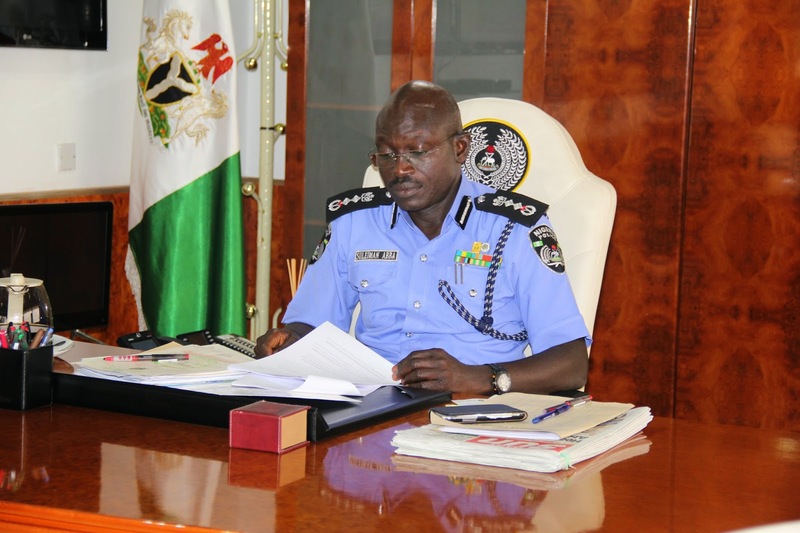 The Inspector-General of Police, IGP Suleiman Abba, CFR, NPM, NPOM, mni, has today 9th of January, 2015 again assured Nigerians of optimum safety and security in the year 2015. The IGP stated this whilst reviewing the operational strategies put in place by the Force to ensure a crime free yuletide period in 2014. He noted that within the period under review; 20.12.2013 to 05.01.2014 and 20.12.2014 to 05.01.2015, a comparative analysis revealed that there has been a drastic reduction in crime and criminality in the country with particular reference to serious crimes such as Armed Robbery, Kidnapping, Murder, and Attack on Police Officers, as well as Road Traffic Accidents. The IGP pointed out that this was made possible by the changing attitude of Policemen in their various commands and formations in the fight against all forms of crimes and criminality. This is informed from their efficiency and thoroughness through meticulous attention to details in the performance of their duties and that more emphasis was placed on preventive measures, thorough intelligence gathering techniques. These yielded in no small measures that resulted in reduction in crime and other vices of criminality. The IGP further promises to build on the successes achieved by Nigeria Police Force and assures Nigerians and non Nigerians that in 2015, the Force will redouble its efforts at providing optimum safety and security in all Nigerian Communities, protect and respect human rights and promote community partnership in preventing crime. He maintains that the Force will do this in collaboration with other security agencies and stakeholders at all levels. Furthermore, IGP Suleiman Abba states that the Force will continue to encourage a level playing ground to all political parties. He advised all candidates to shun acts of thuggery/violence before, during and after the elections. He also enjoins all party candidates and party chieftains to implore their supporters to shun any act of violence. Finally, the IGP acknowledged the collaborative efforts of members of the public; he encourages them to continue to cooperate with Nigeria Police Force and other relevant security agencies in a bid to ensure a safe and secure nation. They are further advised to report any suspicious movement in their environment to the nearest Police station.